PIM Director Dr Karen Brooks will be one of the two keynote speakers at The Crawford Fund’s annual conference this year. Titled “Waste Not, Want Not: The Circular Economy to Food Security”, the 2016 conference will be held in Canberra, Australia on 29 and 30 August and will focus on food loss and waste issues along the supply chain—in production, in getting product to market, and in the management and reuse of waste, with a special presentation on the role of supermarkets. In her presentation titled “Waste Not, Warm Not: Poverty, Hunger, and Climate Change in a Circular Food System” Karen will suggest combining economic and environmental perspectives to look at the full picture. Find below the abstract of her forthcoming address (also available on the Conference website). We will be happy to share the full presentation after the event. Reduction of food loss and waste has received increased attention in recent years. Several spikes in food prices since 2008 have highlighted the hardship that poor people, and especially poor children, face when food is priced out of their reach. With as many as 800 million people still undernourished, of whom about 160 million are stunted young children, the fact that as much as 30% of food is lost or wasted appears unconscionable. Surely the loss could be recovered and channelled toward the hungry! Much of the discussion of food loss and waste has been predicated on this assumption, with the related conclusion that better management and distribution of existing supplies could substitute for investment in increased productive capacity. The assumption is in part borne out by empirical evidence, but as is often the case, the full picture is more complex. Moreover, discussion of food loss and waste in terms of feeding the hungry misses the environmental benefits associated with better management of existing production. Food systems that lose and waste less will generate fewer greenhouse gases and contribute less to global warming. The economics of reduced loss and waste creates both winners and losers, but the environmental calculus has only winners. The policy and institutional arrangements of food systems that generate less loss and waste would look quite different from our present systems. Mr Daniel Lagger, Executive Director, Technical and Production for Nestlé Oceania, another keynote speaker, will present the private sector perspective and experience on the issue. Learn more about the conference and check the current program. Registration is still open. 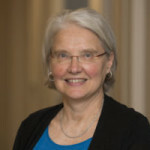 Karen joined IFPRI in 2012 as Director, CGIAR Research Program on Policies, Institutions, and Markets. 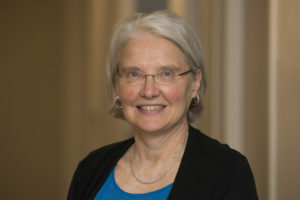 Prior to that she worked for the World Bank for more than twenty years in various capacities, including ten years as Sector Manager, Agricultural Operations, Africa Region, and during the 1990’s as Lead Economist on agricultural issues of the transition from central planning in Eastern Europe and Central Asia. Prior to joining the World Bank, she was Associate Professor in the Department of Applied Economics at the University of Minnesota. Karen holds an undergraduate degree in Political Science from Stanford University, and a PhD in economics from The University of Chicago. She has published on issues related to agricultural policy in centrally planned economies, price and land policy in countries transitioning from planned to market economies, and the challenges of youth employment in Africa south of the Sahara.